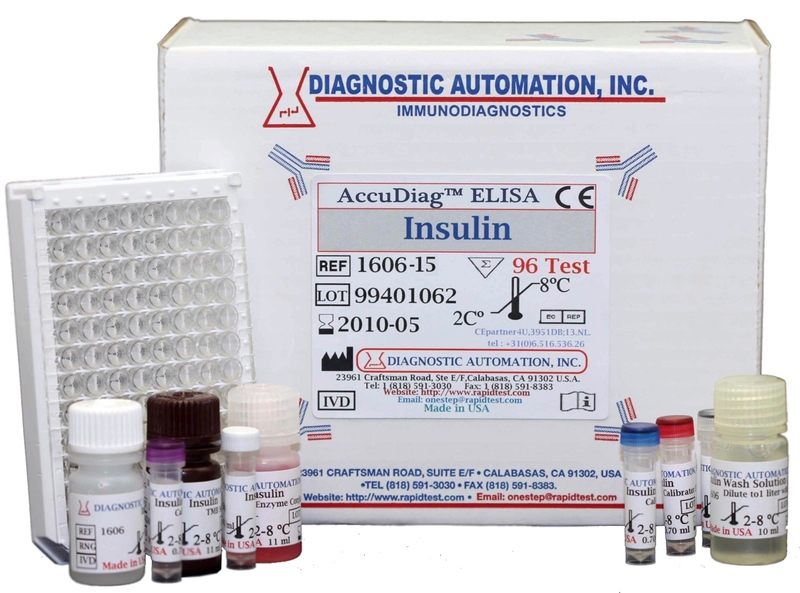 The Diagnostic Automation Insulin elisa kit is a quantitative solid phase enzyme-linked immunosorbant assay (ELISA) for in vitro measurement of insulin in human serum and plasma. Diabetes affects an estimated 16 million Americans, about one third of them do not even know they have the disease. The disease is marked by deficiencies in the body ability to produce and properly use insulin. The most common forms of diabetes are type 1, in which the body ability to produce insulin is destroyed, and type 2, in which the body is resistant to insulin even though some amount of insulin may be produced. Insulin is the principal hormone responsible for glucose metabolism. Secretion of insulin is mainly controlled by plasma glucose concentration and the hormones have a number of important metabolic actions. Its principal function is to control the uptake and utilization of glucose in peripheral tissues via the glucose transporter. Insulin concentrations are severely reduced in insulin-dependent diabetes (DDM) and some other conditions such as hypopituitarism. 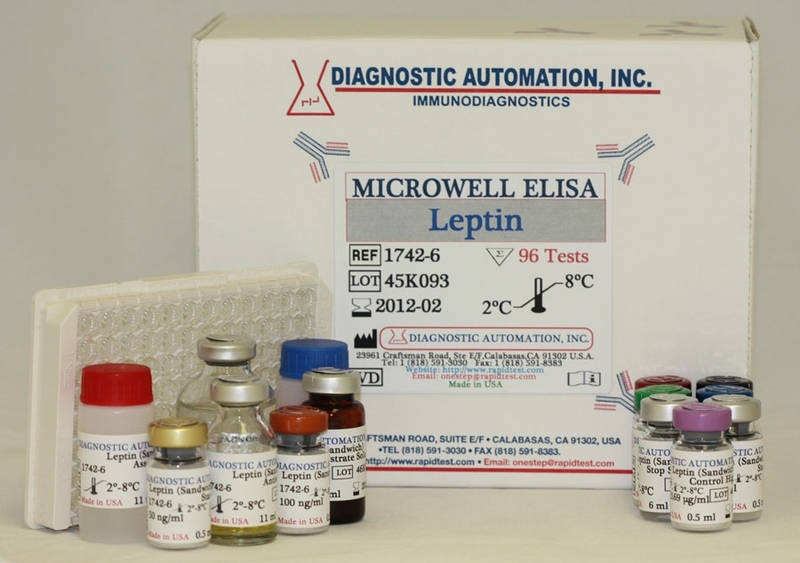 Insulin elisa test is a solid phase ELISA and the essential reagents required for an immunoenzymometric assay include high affinity and specificity antibodies (Ab), (enzyme conjugated and immobilized), with different and distinct epitope recognition, in excess, and native antigen (Ag). In this procedure, the immobilization takes place during the assay at the surface of a microplate well through the interaction of streptavidin coated on the well and exogenously added biotinylated monoclonal insulin antibody. 3. The diagnosis of insulinoma. When using expected values from Diagnostic Automation Inc, it is important to keep in mind that establishment of a range of values which can be expected to be found by a given method for a population of normal persons is dependent upon a multiplicity of factors, the specificity of the method, the population tested and the precision of the method in the hands of the analyst. 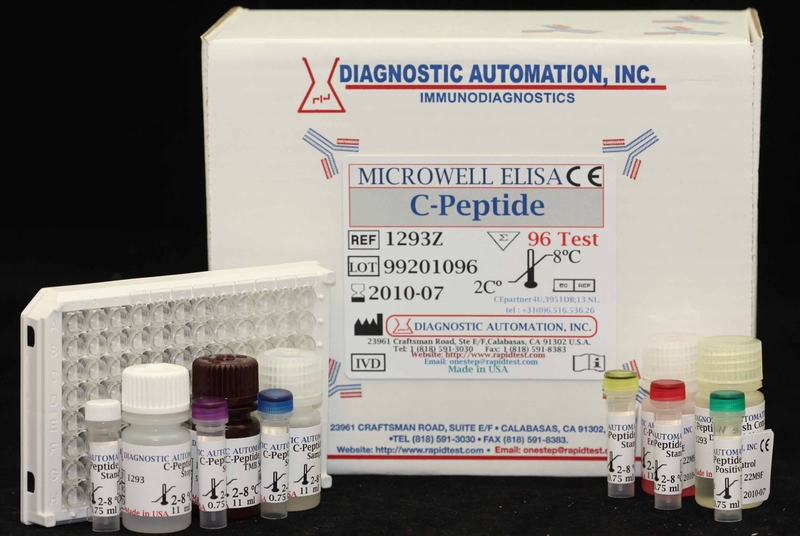 For these reasons each laboratory should depend upon the range of expected values established by DAI only until an in-house range can be determined by the analysts using the method with a population indigenous to the area in which the laboratory is located.